This is a guide to Australia for dummies! If you’re thinking about heading out to Australia to live and work, or even just to go and enjoy some of the awesome tourist attractions that the country is so famous for, then check out this detailed blog to make sure you hit the ground running! Explorers from Europe only arrived in the 17th Century and Australia is often considered a ‘young’ country because of this. Native Aboriginal history however is thought to be one of the oldest and continuous cultures to date with indigenous ancestors arriving between 40,000 and 60,000 years ago. Christianity represents 61% of religion in Australia with 22.3% of the population claiming to have no religion and the rest being of mixed religions. The national language of Australia is English. Australia is however considered to be very multicultural and languages such as Mandarin, Italian, Arabic, Cantonese and Greek are spoken freely. Aboriginal derives from more than 250 languages evolving from a single language family. Unfortunately only 20 of these survive today but it is so interesting to learn that many are spoken regularly and taught in schools. Australia is best known for its hot, dry climate with long days of sunshine throughout the year. Don’t forget though that it can also get very wet and cold! When inland you can often experience desert-like conditions with chilly winter nights even if day time temperatures are very hot. Remember Australia is larger than Europe and thus the climate can vary dramatically from one end of the country to the other. In terms of seasons: Spring is September to November, Summer is December to February, Autumn lasts from March to May and Winter begins in June and lasts through August. In general the north of Australia is warmer and tropical all year round because these regions are closer to the equator. Here there are two seasons; wet (Summer) and dry (Winter) with slight variations throughout the year. 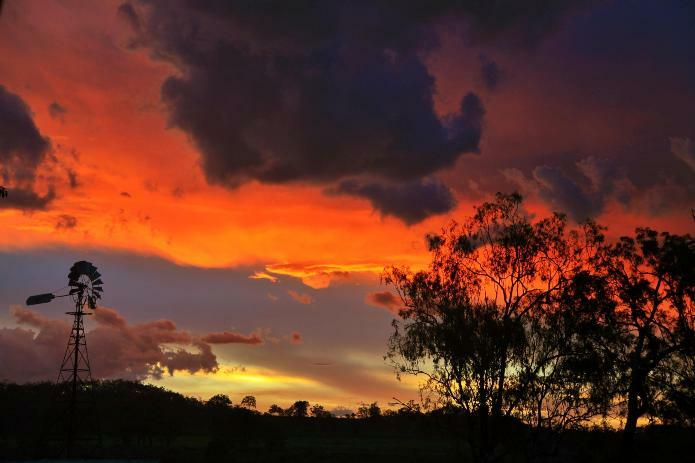 Southern Queensland experiences what’s known as subtropical, with a combination of wet and dry but also following the general rule of four seasons. As you get further south, the weather is similar to European and American patterns of four seasons. It can snow in areas on the New South Wales/ Victoria border where skiing is very popular during the winter months. Melbourne is known as the city with four seasons in one day and has experienced some of the hottest days on record. The Aussies love their meat. Stereotype dictates BBQs on the beach, and you will not be disappointed! As well as this, the big cosmopolitan cities offer an eclectic mix when it comes to styles of cuisine. Melbourne in particular is known as a very foodie city with amazing restaurants, cafes and cake shops. Seafood is widely enjoyed on the coast, and beef and lamb in the outback is always on the menu. There is a heavy Asian influence as well as common western food. Be prepared to find a lot of fast-food outlets in the smaller towns when travelling, however there are always some small local restaurants tucked away somewhere. 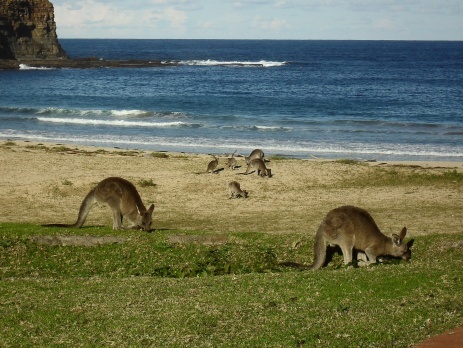 On the coast Australians are very organic and health conscious and therefore very accommodating with dietary issues. There are often lots of options available but some of the establishments can be quite pricey. Alcohol is often expensive as Australia is an island and goods need to be imported. There is a great rum and beer culture in rural Australia and due to a number of fantastic winery regions, wine is very popular too! It is relatively easy to travel around Australia because there are few roads and the options for public transport limited. A lot of people travel by car when they live in regions outside the cities. As a traveller, petrol and diesel is a lot cheaper than you might be used to. We do advise that if you think about buying a car, to take extra care when travelling at night due to excessive amounts of wildlife on the roads. A lot of travellers chose to take the bus which services most of rural Australia. Trains are great for in and around the big cities but services become more limited the further out you travel and for crossing into neighbouring states. It is usually advisable to take a short domestic flight between major cities as this is by far the most efficient way- and often the cheapest. If you have time on your hands we recommend you either rent or buy a cheap camper van. This way you get to go at your own pace, chose your own route and save on accommodation costs. The Greyhound is probably the most widely known and used. It is popular because you can buy kilometre passes and use it as a hop-on hop-off service whilst travelling. There are other cheaper companies that service the east coast such as the Premier Bus. Then there are other more localised companies like Bus Queensland that travel out from Brisbane to obscure locations. Queensland Rail Runs the high-speed Spirit of Queensland service between Brisbane and Cairns. NSW TrainLink operates trains from Sydney to Brisbane, Melbourne and Canberra. V/Line Trains operates within Victoria, linking up with buses for connections into NSW, South Australia and the ACT. Great Southern Rail Operates the Indian Pacific between Sydney and Perth, The Overland between Melbourne and Adelaide, and The Ghan between Adelaide and Darwin via Alice Springs. The great thing about Australia is that even if you’re booking domestic flights at the last minute, they are never really more expensive than when you book them in advance. We recommend using comparison flight sites such as Webjet. Once you have found the flight you want then log on to that individual flight website and book directly, this way you will save on comparison site fees. Most airlines let you have between 15-23kg for free and then you would need to pay more for extra baggage. This is usually very reasonably priced. Tigerair which is very cheap but this reflects in their service. Check for hidden costs such as insurance, credit card fees and baggage allowance weight. Jet Star is also cheap and offer great rates on international flights to places like Bali and New Zealand. Virgin Australia is usually a little pricier than the previous two but there are less fees for extra baggage and the service is comfortable. Qantas Domestic services many business travellers, it is smooth and very profession. It is good to keep an eye on these flights, they often have cheap last minute seats for less than their competitors. Australia is quite traditional and conservative, especially in the more rural reaches. You need to be open-minded and open to a different way of life, to coin the old phrase; when in Rome, do as the Romans! You should always remove your hat and boots when heading indoors on a farm and table manners are very important. Food wastage is also a no, no. Most of the food in rural areas has either been home-grown or reared, or had to be collected from remote store outlets. Do not take more than you need and respect the fact that food is expensive and variation hard to come by. Australians are more water conscious than many other places in the world as there is a huge shortage in terms of ratio of land to water source. The population is only 22 million and cannot support much more than this because of the water shortage. There are many great government schemes in place to try and combat the issues of water wastage. People are encouraged to use egg timers in the shower to keep the running time down. All Aussies know to turn off the tap when brushing their teeth and to only fill the sink to a necessary minimum for washing up. You would never leave the tap running and when using a hose, always let surplus water run off onto grass not gravel. Much-travelled parts of populated/city areas along the east coast are very accommodating with dietary requirements. They are very flexible in terms of alternative produce, organic goods and supporting independent businesses. In really rural parts of Australia, people can often be limited with access to varied supplies. Lots of properties are self-sufficient by growing their own produce, breeding their own livestock and in general making a living from the resources that they have around them. It’s important to relax when you get to Australia. Their reputation for a laid-back attitude towards life is not a fabrication. My advice is to go with the flow and trust the locals when making most decisions. Aussies are very friendly people and will always help out a traveller. If you find yourself with a flat tyre on your camper van, on in a small town with nowhere to stay, there will always be a handful of people who will be more than willing to help you out and point you in the right direction. It is not custom to tip in Australia although it is expected in some of the more flashier places in the bigger cities where there are lots of international tourists. It is best to assess the situation and if you think you have had exceptional service then tipping is the right thing to do. You’ll find that a large majority of the population work in the tourist industry as there are just so many great things to do in Australia. For this reason people take their jobs seriously and often work in this industry because they are passionate about the nature of their jobs. Conservation is hugely recognised with large parts of Australia designated as national park land. The Daintree Rainforest and the Great Barrier Reef is the only place in the world where two World Heritage sites meet. Fortunately Australia is free of many diseases that exist in so many countries and is considered a developed country. Australia is so famous for it’s beautiful and endless coastlines but you need to be aware of beaches hazards including strong currents (rip tides), jelly fish, crocodiles and sharks. It is important to heed the signs and only swim in areas that have been designated safe and patrolled by life guards. Snakes and spiders are a potential risk in remote and sometimes tropical areas. The best way to stay safe here is to wear sensible footwear and long trousers when walking in long grass. Most tour operators that will take you to remote areas of the country will make you aware of areas where salt water crocodiles inhabit. This is mainly in the more northern reaches of the country but be aware of creeks and rivers further south. Bull sharks are also a potential threat so heed the signs! Bush fires are common but quite often controlled and managed. If you find yourself in a situation with a fire then head into the wind, even if you have to jump over the fire. Often farmers will burn off their land to make way for new crops so be mindful of burning seasons so you don’t panic unnecessarily. Always alert the emergency services however if you see a fire that you think is out of control or unlikely to have been started purposefully. Cyclones are a risk in storm/wet season during the summer months. Sometimes they can come further south into the more populated regions of the country so make sure you check the news and weather channels during this time. Your travel plans could be disrupted due to the weather patterns. The advice is to stay indoors and beware of falling trees and weak building structures. Stay clear of creeks and dams in low lying areas due to flash flooding and do not drive in cyclones, storms or rising water. Australia has excellent medical facilities in every town and if you are very remote, the flying doctors service are very efficient and more than experienced in getting people from these regions to hospital in record time. If you are from the UK and are on a working holiday visa then you are entitled to the Australian medicare system which is similar to the UK NHS. You will be able to receive free emergency treatment and a discount on prescription medicine. The currency in Australia is the Australian dollar. Make sure your bank is informed that you are going to Australia for an extended period of time so that they allow withdrawals and do not treat them as suspicious. In this instance your card may be blocked for withdrawals. Cash points or ATMs are all over the country. Be aware that if you withdraw money from another bank’s ATM that is not your bank then there will be a charge to do so. 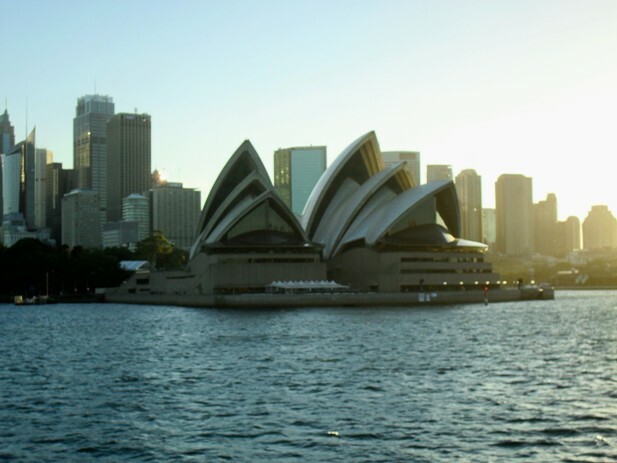 Australia is a fantastic country to visit so take this advice on-board and make the most of it! 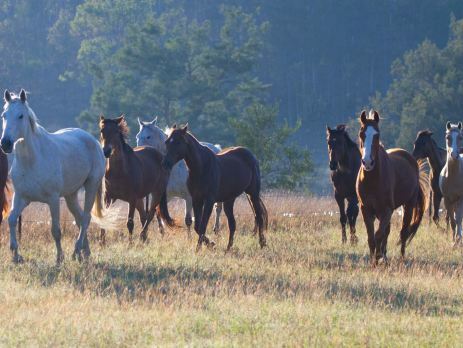 Enjoy the culture, weather and diverse landscapes, you won’t be disappointed! If you would like to take part in one of our paid work or conservation volunteering programmes in Australia then visit our destination page for more information. I would love to be a bartender or waiter on a train in Australia.